Here is a continuously updated collection of Apple iPad mock-ups & templates for Adobe Photoshop, Adobe XD, and Sketch app. Great for showcasing your mobile & web design projects in a fashion way. Includes iPad, iPad Pro, iPad Air, iPad Mini and more. All of them are well designed and are easy to edit and customize to meet your needs. The new iPad Pro 12.9 inch model along with Apple Pencil. The device is held in hand in an office setting. You can change the background to a different one or a colored background. As always, you can replace the screen with your own design. This mockup is highly useful to showcase your web or UI designs on the iPad Pro model. The new 10.5 and 12.9 inch psd iPad Pro in vector shape. This fully scalable vector iPad Pro mockup comes with the new Apple Pencil. Ideal to showcase your web and app design thanks to the smart layer. For Sketch and Adobe XD. The mockup is fully editable with vector shapes and smart-objects to replace your own designs on the screen. The mockup comes in 3 colors of gold, silver and grey. A photorealistic PSD Mockup template of a White iPad named “iPad Mockup And A Cup Of Coffee”. The mockup is easy to use, you just need to place your design! The mockup features a high-resolution photo, customizable filters, and you can use it for both personal and commercial purpose. A free photorealistic PSD mockup iPad 2 in Italy (Padova). Real easy to edit. Use the smart layers to place your design. A beautiful and clean iPad mock-up ideal for blog, web or print. All the elements are separated so you can move or hide any of them and create your own composition. Use the smart object to easily drag and drop your design. Layered scalable PSD template for you to enjoy on your projects. 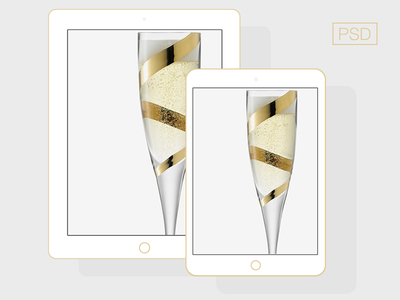 Use this summer inspired iPad mockup to show off your mobile designs or client work showcase. A perspective mockup for the iPad Air 2 tablet. Use this resource to have some fancy presentations for your projects and designs. Perspective front view psd iPad air mockup free to download. The first customizable iPad Air is available now for designers ! Since yesterday was the new iPad Air introduced, we’ve decided to create a mockup for you guys, to use on web.. Layered psd! This is a hand-picked and continuously updated collection of newest and latest iPad mockups for showcase purposes. If you like it, don’t forget to check our 38+ iPhone Mockup Templates For App & Web Designers and 48+ Android & Windows Phone Mockup Templates.